Often when I talk about koji, koji spores, miso, soy sauce, the role of koji in the whole process, I often find that my friends and family members are getting a bit confused, so I figured to do a little write-up of the whole thing. Where to start? Most people know soy sauce and a few know miso, though the latter mostly in the form of miso soup. 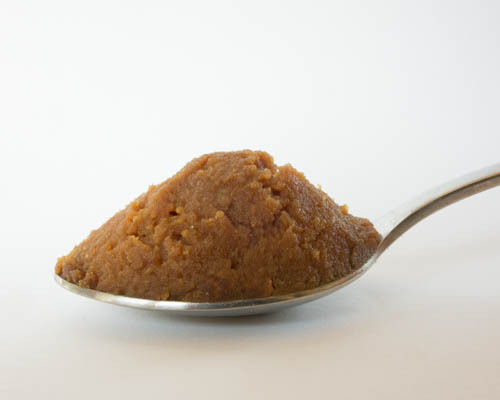 Miso is a fermented paste which consists of usually rice koji, mashed cooked soy beans and a good amount of salt. Every ingredient is vital in its own way, but koji is the most vital. Koji is the japanese name for Aspergillus oryzae. It is a fungus that is traditionally grown on rice, barley or on soy beans. It produces manyfold enzymes, which are needed to make miso and soy sauce. A lot of confusion arises from the fact that koji is the name for both the fungus and for the substrate (rice, barley, soy, etc.) on which the fungus has been grown on. The latter usually carries the name of the substrate in front of it, i.e. rice koji or barley koji. 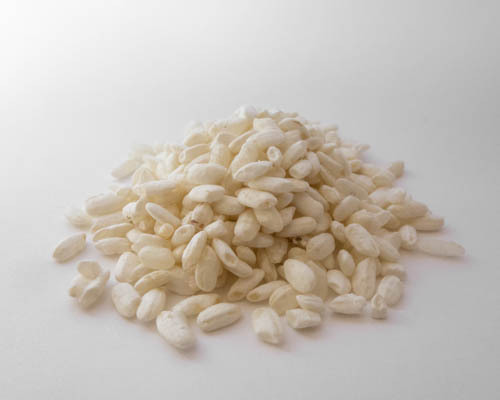 Rice Koji – This is rice on which the fungus has been grown. In some way, fungi are more similar to animals than to plants in their way of “feeding” themselves. Fungi, like animals, use organic matter to generate energy. In biological terms: they are heterotrophes (plants on the other hand are autotrophes, they generate organic matter from inorganic matter using sunlight). When we create a batch of miso we make use of this fact. Because the fungus can’t just use the complex molecules that plants make (starches, proteins, cellulose, fats, etc. ), the fungus has to produce enzymes to digest them. Enzymes are basically “worker molecules” that break down these macro molecules to usable molecules. This is very much analogous to what happens in our digestive tracts. These enzymes are at the heart of ferments involving koji. There are enzymes that break down starches to sugars, a process that also makes possible the brewing of sake. Starch is basically a very long chain of glucose molecules that are connected. The enzyme amylase (all enzymes have an -ase suffix) severs those connections to yield single glucose molecules. Analogously, proteins are macro molecules made of amino acids. Unlike starch, which is made exclusively of glucose, proteins are made of 22 different kinds of amino acids. Koji produces enzymes to break down these proteins to amino acids. So Koji is grown in order to get a substrate with lots of enzymes in it. (Well, and also because it tastes amazing) The enzymes are then let loose on whatever the miso is made with, traditionally soy beans. Soy bean protein by itself tastes very dull (in my humble opinion), but if enzymes break that protein down into its constituent amino acids, the taste changes from dull to delicious, imparting an umami taste. This is because the soy protein contains a lot of glutamate, the salt of which you might know as MSG – mono sodium glutatmate. Many people get an “oh but MSG is bad” reflex, but in my opinion the problem with MSG is not the MSG itself, but the fact that it is mostly used by industrial food producers and cheap restaurants to mask the low quality of their foods. The umami of MSG is very one-dimensional, while the umami of miso is very much multi-dimensional due to the multitude of different amino acids and fermentation products. It’s not a single compound, miso consists of a huge array of different compounds that create a depth of taste that a single isolated compound just can’t. It would be wrong to reduce the magic of miso fermentation to glutamate, since there are so many things going on. Another very important ingredient is salt. Without salt the result after a few months of fermentation would not be miso, it would be compost. Salt inhibits many unwanted microbes. Actually the koji fungus does not tolerate the levels of salt required for making miso. So once the miso is mixed, the fungus dies but its enzymes (which are salt tolerant) remain. Some microbes do tolerate these levels of salt (in a miso that’s about 8-13%), for example lactobacilli and some yeasts. The former produce lactic acid (which lowers pH) and other compounds that add to the characteristic taste of miso. Salt-tolerant yeasts produce alcohol and other compounds that add to taste. The alcohol too is turned into other compounds. It is possible to make soy sauce on the fast track. Some producers do that by chemically breaking down these macro molecules, i.e. proteins and starches, by boiling them with hydrochloric acid. This process misses the long ageing and the additional microbes described above that make miso and soy sauce to the wonderful foods that they are. The producers know that and make up for it by using aromas, coloring agents and whatnot. These fast-track sauces always fall short in blind tasting tests. So the message is clear: long term fermentation is the noble path to deliciousness! If you have questions or if you found some fault with my explanation, please let me know. Thanks for reading! Hi, I would like a conclusive, both traditional and biochemically supported answer on the long-time Q about USE of miso in soup: i do recall well-known late Macrobiotic teacher Michio Kushi recommending adding diluted miso (traditionally fermented &aged) to soup and SIMMER very few minutes on low flame before consuming. Most modern cookbooks instead say miso should be put directly in plate or diluted in broth after TURNING OFF heat so as to not destry enzymes. A miso-maker here (italy) tells me that the first is probably better, as enzymes are heat sensitive enough already around 50°C so they disappear in both cases anyway, while miso re-heated briefly can be more digestible, ditto for Shoyu or Tamari. Also, most makers re-heat miso in the jar to slow down further fermentation…The benefit to our inner gut Flora would then be of a PRE-BIOTIC effect of M. that will stimulate anew healthy bacteria production. Can you please tell me your findings or ideas? I think for the enzymes there is no hope to survive, first because of the heat of the soup and secondly because of the stomach acid. So when I cook a starchy sauce I make sure to deactivate the enzymes. Or when I make polenta, for example. I once put miso into polenta directly after cooking it, when it was still at about 90°C, and after half an hour to an hour the polenta was really soupy –> the amylases were still active, so the heat is maybe not too big a problem. The stomach acid, however, would denature the enzymes for sure. So I don’t believe that there is a positive effect on our health because of the enzymes. The enzymes make a difference in cooking, though. If the food I make is starchy, I cook the miso in the food, if it isn’t (soup for example) I add it later in order to preserve more of the aroma. As for prebiotics, I have not read much about it regarding miso. I do recall that there is one compound that is found in miso that was believed to be prebiotic, but I remember reading that it is actually digested by the body to a degree of 70-80% or so. If there are any other prebiotic compounds, I don’t know, but there probably are some. during my research for cultured plant-based cheese, I found an artigianal cheese maker in Berlin (Anderson Santos A GUIDE TO VEGAN CHEESE The Cashewbert® Manual) using rice and bean koji to help the fermentation process (the breaking process you talk about above). 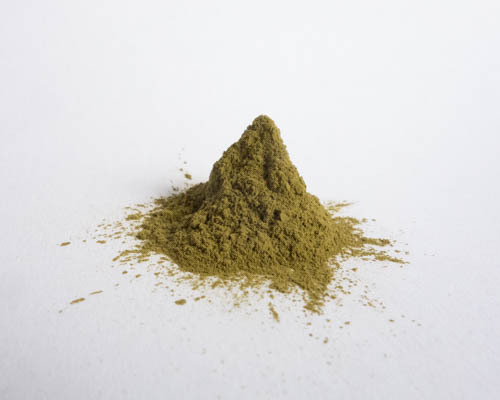 “… put 20g of koji rice in a blender and make it into a powder. As an expert in the field involved, do you think it will work? Can it really be an alternative use of koji? I’m a beginner, experimenting the cheese culture at home, and I would like to avoid too much waste (following a recipe on the most advanced book in the market, I double fermented an almond medium with miso, after the first fermentation with probiotics from capsules, I could not go ahead and I had to bin it….). I am pretty sure that that would work! I am not very acquainted with how the vegan cheeses are made, but if there is enough water present (just damp is enough), then the enzymes can do their magic and break down the fats and proteins of the nuts. If the resultant parts (i.e. the amino acids, smaller chain proteins, free fatty acids) then really remind of cheese is doubtful to my mind, as they are quite different from milk-fats and proteins. But for sure it is going to make the nut-cheese more flavorful! I have made a chashew miso once, and it got really nice buttery notes. So that’s for sure a thing that’d be great to try. Thank you very much Victor, I will try. Pity your Koji rice is not ready yet, in April I might contact you to see whether it is available. I would like to buy rice koij. Where? What are the quantities and the price for France? Rice Koji is not yet available at this point. I will be able to offer rice Koji by April 2019. Until then, you can buy the spores and try to make your own Koji. my previous message was actually for you, my mistake. Could you kindly answer when possible? I am wondering if any other fungus could have a similar effect as aspergillus oryzae, in particular cultures used for tempeh (typically, rhizopus oligosporus and rhizopus oryzae), so that they could be used to make a similar product as miso. The tempeh cultures also have enzymatic activity, both on beans and grains (and also seeds, nuts, etc) but I do not know if it is similar to the activity of koji. I also do not know if the presence of salt is sufficient to stop their activity or if heating would be necessary. Have you ever tried using a different fungus? Theoretically you could use Tempeh instead of Koji, but I think the difference in enzymatic activity is going to be quite noticeable, as Rhizopus is going to produce less enzymes than Aspergillus. Generally, Aspergillus molds are exceptionally good producers of enzymes, and A. Oryzae probably especially so as it has been bred for that purpose. An acquaintance of mine makes accelerated miso by mixing rice Koji with soy (or chickpea) Tempeh. I have not tried that yet, but according to him it speeds the process up, since there are more enzymes present. Most molds are quite salt tolerant, but I don’t know just how salt tolerant the Tempeh molds are. But if you make miso the conditions for growth are pretty bad anyway (no air, layer of salt on top). Heating is not recommended, it deactivates the enzymes. Thanks Viktor, it seems that testing is required to find out how well this could work!